You may have your moves down but what about your competition performance face? Looking good on stage means putting your good looks front and center. Keeping skin in top condition is an important starting point for long lasting stage beauty. The right color choices and correct application will help keep the worry down with multiple costume changes. With little time to change and add a new makeup look between numbers, a good application along with a few quick change tricks can really help keep your looks up and your stress down. Competition judges look for over-all presentation and show appeal. A polished makeup look separates you as a pro. These tips will help you stand out at your next competition performance. Want looks to last? Get in step with the right skincare moves. Watch for flakes. Dancers have special skin care needs and often complain of breakouts, problem skin and makeup melt down. Perspiration increases oil production and when you combine oil with bacteria you’ve got the makings for bumps and pimples. Dead surface skin cells are another common cause of skin problems especially when oil and perspiration are present. Removing dead skin build up by washing your face using a clean wash cloth with a facial cleanser containing salicylic acid or a gentle facial scrub a few times a week can help keep skin smooth and radiant. Body skin needs special care as well to look beautiful under stage lights. Little bumps on your thighs, upper arms, chest, shoulders, and back are a sure sign of bacteria and dead skin build up. Use a Loofah or body brush with your favorite body wash scrubbing towards your heart to insure smooth, glowing skin you’ll be proud to show off in the most revealing of costumes. Be sure to spray your loofah or brush with Hydrogen Peroxide to kill bacteria build up. Clean up your act. Cleanse skin before and after a performance using a facial cleanser, a toner to remove any left on residue, and then finish with an oil-free moisturizer. Makeup foundation stays on longer and looks fresher when applied over well hydrated facial skin. Remove eye makeup with an eye makeup remover pad or cotton pad soaked in coconut oil. Avoid baby oil and Vaseline as they leave behind a film. Wash away remover with facial cleanser and clean up any left over eye makeup with a Q-tip. Always remove eye makeup downward strokes to prevent working product into your eyes. Make-up for competition is more about enhancing features so they show up under lights than matching the costume (forget the green shadow for that green costume). Competition judges see everything as they are often up close to the stage. Do apply a shadow base first before any color to the eye. This can be a face powder, foundation and powder if the lid needs some coverage, or a product designed for this called an eyeshadow primer. Whatever you choose make sure the lid is perfectly dry so eye shadow goes on smooth and even. Do stick with neutral brown or burgundy plum toned eyeshadow shades and apply your eye make-up first before any other make-up to avoid the shadow dust that collects under the eyes from application. This shadow dust melts if it’s not cleaned up creating dark under eyes and a muddy look. Blend each color seamlessly into the other. Do start with the darkest shadow first and end with the light shadow for highlighting. This ensures a nice blended look and more pop from the highlighting shade. Don’t sink in eyes by applying the dark shade across the crease from inner to outer corner of the eye. All dark shades should stay at the outer half of the eye to create lift and openness. Use a middle shade to create a crease. Don’t line the eyes from corner to corner with black liner, instead apply black liner on the upper and use a brown tone along lower lash line to open eyes. Judges complain often of eyes looking like two little black holes. Keep lines open at the inner and outer corner of eyes. Professionals like to place white pencil in between the lines at the corners to prevent that closed look. Many pros suggest using a black or gray liner on the upper lid and a brown liner under the lower lashes to soften the look. Pencil liners tug at the eye and run easily. Liquid liners take a long time to dry and can smudge. An easier type of liner is a cake liner used with a wet liner brush. Do use a foundation that’s oil-free and matches not only the jawbone to neck but also the body. So much skin is exposed in costumes and most body skin is golden under toned. Choose a foundation, concealer and powder with more of a yellow under tone to insure the face matches. Remember, perspiration affects a product’s color and can bring out any orange, pink, or red tones causing a mismatch. Blend foundation under the chin and onto the throat for a better match to the body. Judges notice blotchy, flushed, uneven facial skin. Follow with concealer under the eyes to fight light shadows and set with powder for last. Do flush and contour cheeks. Cheek color should be in a red tone like lips and applied only at the apples of the cheek rounds and slightly up onto the cheek bone to avoid a “red stripe” look. A contour brownish pink neutral tone should be applied just below cheek bone towards center of the ear to create depth. Highlight the tops of the cheek bones with a soft shimmer powder to lift. Do shape and create fullness to the lips especially at the sides of the mouth. When it comes to lip color red is the best choice. This color goes with every costume change and compliments all skin tones. Choose a warm cream or matte red or a softer shade of sheer red especially for young performers. Do use a lip pencil in a red/brown shade to define, shape and help lips last. Use a lip brush to blend color evenly. Apply a highlighting golden toned shimmer gloss to the center of the upper and lower lip for more fullness. Don’t put false lashes on until the very end of your make-up look. They can get in the way when trying to apply eye shadow and makeup powder can get into the lashes. Be sure to curl your natural lashes first before applying false ones so they mesh together. Cut lashes to fit the size of your eye. Remember lash glue should be applied along the strip base and allowed to dry a minute to get tacky for a better stick. Glue from the outer edge in, pushing from the lash tips. Brush your own lashes into the false ones by using one coat of mascara. Do define the brows. Remember brows frame the eyes and provide balance to the face. Make sure they extend long enough at the outer end. If you are using a pencil make sure to brush it lightly into the brow so on stage the brows will look more natural. Don’t over do the glitter. A little goes a long way. Center of eye lids and a little on lips can be nice. Don’t keep the same face on number after number. Some costumes call for glitz or might need a little theme look addition. Glitter can be a great way to tie in glitz to a sparkling costume. Glitter spray is nice when a lot of body skin is showing as it enhances skin tone. Mode Dion‘s Cosmic Spray has both gold and silver glitter combined to enhance all skin tones, hair shades and costume changes. Lips are the fastest change up using a glitter color like a white opal crystalina to look ethereal or a soft baby pink to sweeten. Even red glitter on the lips can be striking. Eyes and cheekbones can come alive tied in with glitter as well, but be sure to seal it on with a proper Spirit Gum like Mode Dion’s Diva Glue for hold. Remember, glitter does not go with every costume. Remove glitter fast in between numbers using First Aid Tape (ouchless) pressed onto anywhere there’s glitter then gently pulled away. First Aid Tape sticks to glitter not to skin and removes the glitter fast and doesn’t mess up your makeup. For glitter looks click here. For glitter application and removal click here. Do use wigs, hairpieces, hats and other accessories to enhance drama and the feel of your performance. This advice comes direct from interviews with national competition judges. 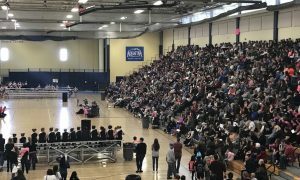 The inside scoop on creating the best over all stage presentation will insure you look like a seasoned professional the next time you take to the stage. The minute you step out onto the stage you are on! Make sure you enter the spotlight poised, smiling and in good form. You should exit the same way. Watch facial expressions. Don’t make faces (look strained, lips puckered etc.) while you’re performing. This can create a distraction. Make eye contact, smile and look passionate about your performance, keeping your face relaxed. When performing, unless it’s part of the number, avoid mouthing the words. This can create another distraction that takes away from your performance. The exception is when performing a musical number with a singing or speaking part. Don’t move the music tempo faster than the song. Need a faster tempo? Find one. Watch undergarments. Be sure they match and do not show under your costume. Wear costumes and accessories that are secure and tested to avoid embarrassing wardrobe problems. Don’t over do the bling. Choose two rhinestone accessories. Example: earrings and a choker but skip the bracelet and hair clip. Keep hair off your face unless it’s part of the choreography. If you make a mistake, keep going. Don’t let a fall or any other mess up stop the show. Keep energy strong from beginning to the very end. Christine Dion has been setting trends in the Industry for over 30 years as an Author, Speaker, Columnist, Beauty and Image Expert. 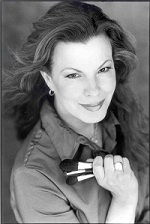 After working internationally as a professional makeup artist in television, fashion and theater, she became well known in the dance world from her numerous monthly beauty columns in Dance Spirit “Look of the Month”, Dance Teacher and Dance Informa Magazine where her Polished Stage Face became the industry standard. 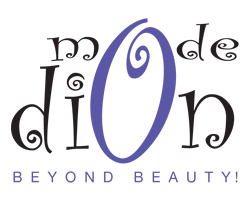 Christine saw a need for quality cosmetics with age appropriate colors that are easy to apply for parents and performers so she designed MODE DION Cosmetics & Training. Her book “High Performance Beauty” (published Princeton Press) is a must have for anyone who steps on a stage or in front of a camera. Christine became specialized in personal development through her works as lead instructor for John Robert Powers Finishing School/Beverly Hills, New Model Coach at ELITE Modeling Agency, Director of John Casablanca’s Image Center and Owner MODE DION Image Center. Her new book “RISING STAR Personal, Public & Professional Power” provides performers the special skills needed for success in the performance industry. Her popular Stage Beauty & Image workshops are taught in studios across the country. Shop for MODE DION Cosmetics, view Christine’s Beauty Columns and Books, get tips, Looks, “How to Videos” and more at www.modedion.com Make-up kits and bulk discounts available! To book a Studio Workshop call (760) 837-9433 or info@modedion.com.